Together We Are, One We Are in our Mission of Love. And so it is. Salut! “Greetings, Beloved Family! We are positively vibrating with Joy-full anticipation and indeed it’s already real in the Higher Realms! It just needs a bit more of a calling in, let’s say, a bringing in of the energies. We know that from the third dimensional perspective it may look as though these are the worst of times but we assure you, just the opposite is true. These are indeed the best of times because you have decreed that this is so!!! “But as with any changes – major, literally earth-shaking shifts – never before has there been such a shift, in fact, on Planet Earth! It is only a natural kind of a consequence that there be some chaos, and some disruptions and disturbances. Nevertheless, we can assure you that the consciousness is rising steadily and while, of course, it has more to go on a collective basis, that’s not so very far! 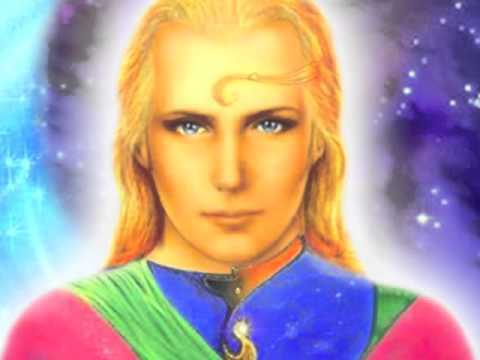 And so do whatever you can do individually and together – most particularly within this Ashtar On The Road Family – to further call in the High, High energies, to further express only Love and all that comes from Love in all of your thoughts, words and actions – or at least as many of them as you can. “And why do we say that? Well, we love you so much and we love you for your Humanity. That’s right! You wear a special badge of honor – each and every one of you – in your energy fields, because you have had the courage to come from the Light into the bodies that you now occupy! “And yes, we know that there are some discomforts for almost all of you in these bodies, and that again is a part of the necessary changes. It is bringing up for you those last little bits of old – let’s say, outdated, outworn, no longer useful to you – bits and pieces which are of such third dimensional, or I will say low vibration, that this is your moment to transformationally transmute, or delete or release them – however you choose to say it. “Basically what I’m saying is, ‘It’s over, Rover!’ These low energies don’t serve you any more. They serve the dark ones that Humanity has been serving through all these eons of time. So give them to them, if you want! Send them their way with Love and transformational transmutation, so that they arrive to them as more Love. That is a gift unto itself, because it will help them to discern what is within themselves, that is no longer appropriate for them to be carrying, in the way of these energies. “Now, we know, there are some who are so much in the genetics of the ones that these Masters* have called the invaders – the reptilians – that they have absolutely no desire to become Light beings themselves. They want to perpetuate the dark. When they see or feel that you are going in the opposite direction – in other words, going for the Light and going for 100% Light in all of your beings – it helps them to understand that their grip is loosening. And as more and more of Humanity engages in this particular kind of clearing – or uplifting, however you want to call it – it is that reality will ultimately set in!!! And it may not need to wait until the moment that they find themselves chained and being removed from the stage. “However it happens, you need not dwell on that. Cleanse yourselves, clear yourselves, go for the Light in every, every moment that you possibly can focus upon so doing, and know that collectively and individually you’re getting there! And where is this that you’re getting to? Why it’s the destination that you came here to get to! It is for you – the holders, the bearers, the keepers and the Beamers, as I like to say, of LoveLight – to be very clear about what you have come here to do. And in its simplest and most refined essence, it is to do just as I have said, to fill yourselves with the LoveLight and beam it forth!!! “And so there are ways that you can do this even more. And simply connecting with each other is certainly a way to do it. But whether you do that – or whether you connect with all of the LoveLight in your beings and then call in more – you can bring your Guides in to assist, and most certainly your Higher Dimensional Selves which, after all, are pure LoveLight, and anyone else you wish to call upon! And indeed you can do one thing in one moment and another way in another – it is to focus – this is your primary mission!!! “And what will come from this? What will be the results of your dedication to this except, of course, NESARA’s Announcement and Implementation leading you into the Golden Age – along with all of your brothers and sisters, indeed all of Planet Earth except, of course, for those who still do not choose to accompany – and it makes you more and more empowered upon your Ascension paths! It brings you an ease and grace to your lifestyles which is totally an empowerment of Love and its Light. Gone are the dark expressions, the dark deeds and, yes, even the shadows – the nightmares within yourselves! All is Light, all is Love, and Life itself takes on whole new meanings and vibrations as you come closer and closer to your own Ascensions and participate in the Ascension – further Ascension I shall say – of Planet Earth! “You already exist in more than one dimensional level. You are multidimensional!!! This is simply, when I say Ascension, I am simply talking about merging your physicalities – and all that part of you that has existence in the third dimension – merging with where you already are in the Higher Dimensions! “And if you choose instead, if you say, ‘Well, this is getting too hard, I’m out of here!’ – if you choose to take the route of leaving your physical bodies and just moving on to the Light, you’ll have all the choices that the Ascendees will have because you’ve been here, you’ve participated and you’ve ‘passed the test!’ If you want to say it that way – we don’t see it in terms of tests, but we understand how Humanity views things. And so if you want to say that you’ve passed the test, that is perfectly appropriate. How about ‘met the challenge?’ How about you have ‘done your own clearings’ so as to uplift yourselves individually, and then reached out with your radiance, with your LoveBeams, to assist others to do the same? “Now, a way of charting your progress along the way – for those of you who like to take measurements and have progress reports and all of those kinds of things – and there is actually a Joy in occasionally looking back, at perhaps an attitude that you find you no longer have!!! Let us say that you are walking down the street and you meet someone, who in the past used to trigger something inside of you – whether you had a specific name for it or not, or just a feeling that you didn’t care for that person’s energy to be mingling with your own. And so in days past you might even have crossed the street in order to avoid meeting, and now you meet here, and you feel a joyful Freedom.You don’t have those feelings any more. They’re gone! You’ve cleared them out regarding that individual – and many other things, too!But that is a joyful way of saying ‘thank you’ to yourselves that you have reached this point in your upliftment, your evolvement, so that those things which used to trigger what you might call the ‘lower vibe’ energies – or feelings or thoughts in you – no longer do. “And you’ve all reached a point where, if you want to, you can look back at some event, or person, or even at your own thoughts that you used to have about yourselves, and you can say, ‘I have uplifted. I have made progress.I have moved through or soared over’ – or however you want to say it – ‘some things that used to challenge me in a not-feeling-so-good kind of way, and I am so thankful to myself that I have come this far!! !’ And then you can be sure that, collectively speaking, Humanity has also come this far! “You see, you’re moving through this era, this phase, this particular set of circumstances in your lives together. We’re not separate. We Are One, and yet you can see yourselves individually and feel what that feels like, as well as being a part of the One We All Are!!! Now, that’s not magic, unless you want to call it so – and if you do, that’s perfectly fine – or miraculous or whatever. It’s a part of your evolvement. It’s a part of – or an aspect of, or a detail of – being more and more in the Higher Dimensional Perspective! “Many of you come to my ship, where you have absolutely total ease of holding that Perspective! You do this in your sleeptimes and, of course, you have your boarding passes – you are welcome to come at any time, during your meditations, or even just while you’re stopped at a stoplight. Say, ‘Hello!’ Feel the energies of the Higher Dimensions as represented on the Bridge of my ship, The New Jerusalem – or any of the ships, even your own! Or come up into the Realms that you call ‘Heaven,’ and commune with one or more of the Angels or Archangels or Ascended Ones, or White Brotherhood, Masters, or your Higher Dimensional Selves – and get that Perspective more and more!!! That’s where Compassion comes from. Yes, it needs to originate in your Hearts, but to hold Compassion, it is to be in the Higher Dimensional Perspective, where Compassion can bloom and flower and, of course, radiate out from your Hearts, to share with all the rest of Planet Earth and beyond! “And, of course, when you have this High Dimensional Perspective which is all based in Love – emanating from Love and expressed by and from Love, outwardly from you – you have Forgiveness. And Forgiveness is simply defined by my Beloved Brother, Sananda, as being the absence of judgment!!! See yourselves as others see you – bright, shining Lights – from this Perspective! And see others also, as bright, shining Lights! And that is a beautiful gift for you to bestow upon all of the World. And it is as though you are reaching out a Love theme. See it as a helping hand up, in other words, to help others to come up into this Perspective so that they, too, may feel the Oneness and the Joy, while at the same time feeling the Peace that this Love offers, indeed bestows, upon all who share in it! “That, Beloved Ones, is your Destination and your Mission! And the tools for this are as many as there are of you. And each of you possess multiple tools and you can bring even more into yourselves, into your beings, if you desire to do so – physical and otherwise. You have a Universe full of tools, loving tools, to avail your own Divine Selves of – and then to share! “So stay the course. We Are One! You have ordained this to be so.We are accomplishing our Mission together! And make no mistake – it takes all of us!!! And if you have an opportunity to acquaint someone who has not heard of this – who is not consciously aware of it, because you can be sure that in their Higher Dimensional Selves they are – then go for it!! !